For those of you who follow me on Instagram, you may have noticed that I recently bleached my hair. Since I was a teenager, I've loved dying my hair. I've been through a lot of different colours, and I've put my hair through a fair amount of stress. Recently, my hair has been feeling below average. 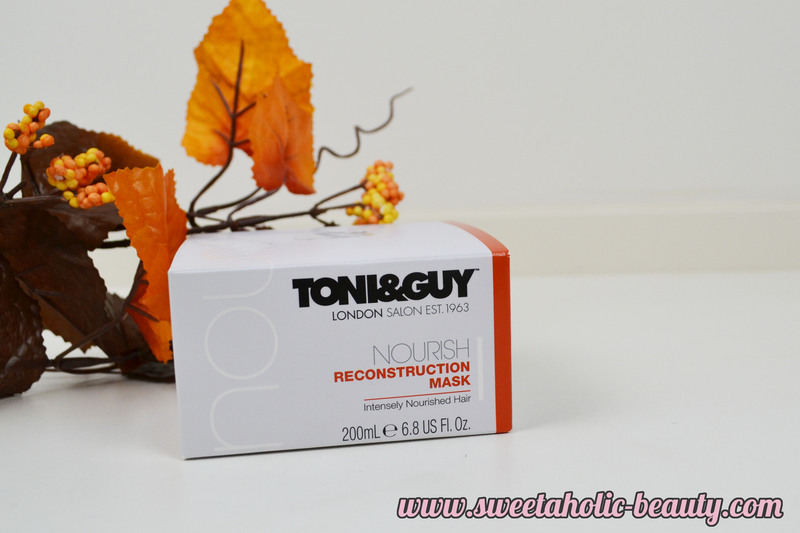 I remember picking up the Toni & Guy Nourish Reconstruction Mask a while back. I hadn't used it before now, so I thought my dry and damaged hair would be the perfect base for me to test this out on. 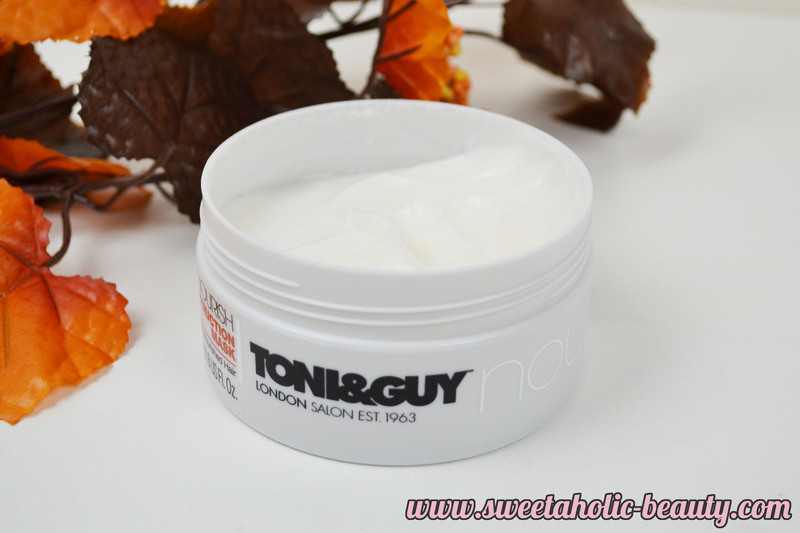 Toni & Guy promises to intensely nourish hair with this hair mask, which is exactly what I was looking for. The instructions were pretty straight forward; leave on your hair for about five minutes, rinse thoroughly and don't use any further products, such as shampoo or conditioner, afterwards. I was a bit skeptical at first, as five minutes is not a long time at all I've had hair masks that require a good 40 minutes leave time for them to work their magic. It doesn't specify to use instead of conditioner, or just afterwards, but I've been replacing my conditioner with this just in case. It also doesn't specify how much to use, which I found a bit off-putting, as I'm useless when it comes to using your best judgement. I ended up using about the same amount of product as I usually would with regular conditioner, although may have added a little extra for good measure. The product itself smelt very pleasant and neutral, and reminded me a lot of a hair salon. I found that the scent did stick with me for a little while after styling my hair, which was nice. The mask consistency was a bit thicker than a regular conditioner, which made it really easy to work with. I paid special attention to the ends of my hair as they were the most damaged, and my roots tend to become oily very quickly. After leaving it for five minutes, I washed it out and my hair instantly felt smoother. I could easily run my fingers through my hair to detangle before getting out of the shower. Once I dried my hair and styled it, I was impressed with how shiny and healthy my hair was looking. My hair was soft to the touch and I didn't feel weighed down at all. Now, for all those ladies who bleach, you'll understand this - that feeling of gross jelly like consistency your hair gets after bleaching? Yeah, that was gone. Next time I got in the shower, my hair felt stronger and more natural. 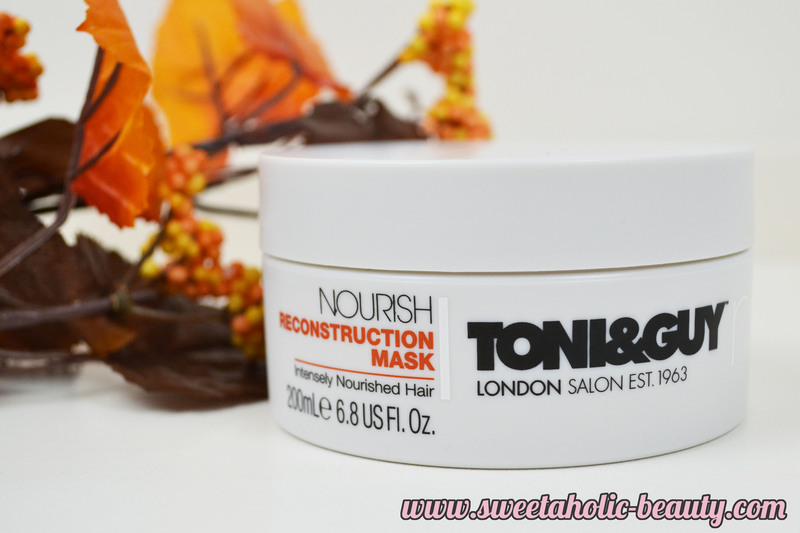 I've been using the Toni & Guy Nourish Reconstruction Mask once a week and I have to say I'm loving the results. For a mask that you only need to leave on for five minutes, it's really doing wonders for me. Although my hair was not insanely damaged, I'm really pleased with how it's helped my hair to stay healthy. I'm also pretty impressed that this is under the $20.00 mark. 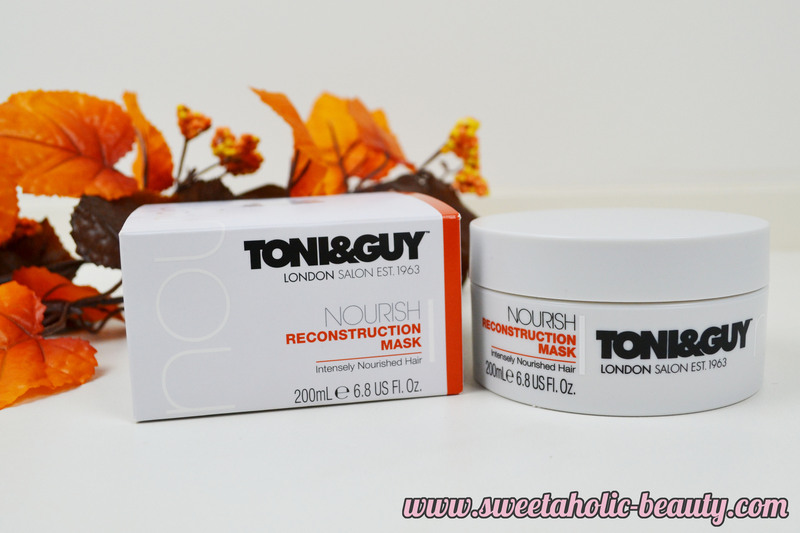 Have you tried the Toni & Guy Nourish Reconstruction Mask? If so, what are your thoughts? Do you use any other hair masks to help damaged and dry hair? This mask sounds like it is definitely worth picking up. I recently bleached my hair so it is in desperate need of TLC!